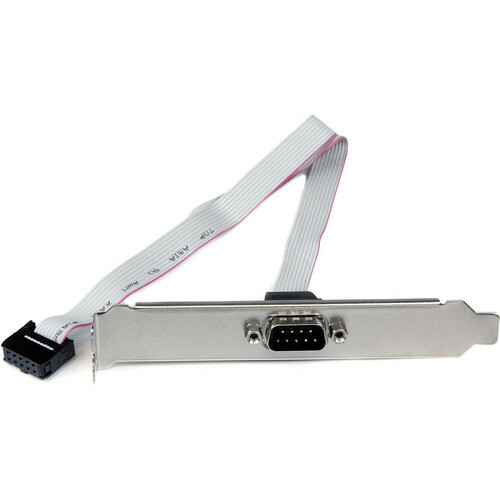 The gray 16" 9-Pin Serial Male to 10-Pin Motherboard Header Slot Plate from StarTech features one DB9 male and one IDC10 connector. The adapter is expertly designed and constructed of high quality components to ensure durability and reliability. Box Dimensions (LxWxH) 8.1 x 4.0 x 0.4"